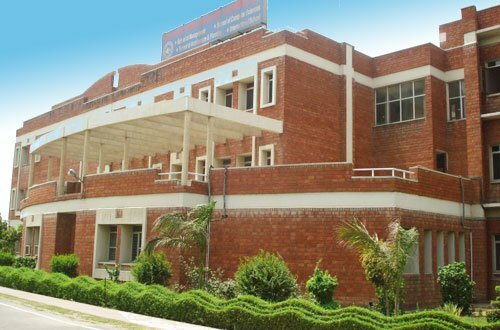 Apeejay Dwarka, sector 8 endeavour to establish a truly international level Centre of Excellence in Management and Information Technology, the Apeejay Education Society established the ASM Dwarka in 1993. The ASM Dwarka strives to develop competent and relevant manpower for the twenty first century needs of trade, business, and industry. The school supports various programs to increase the capacity of individual students, to enrich human values, to maintain Indian value system, to work in the union as a vehicle for development. 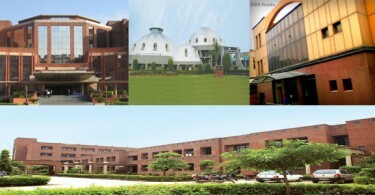 At national and international level, this has become a “student driven” institution of higher education. 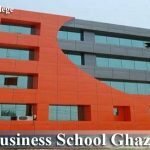 Known as the most preferred management school for building valuable business leaders. To nurture globally competent, socially sensitive & ethically sound managerial talent to lead businesses and organisations. ASM Dwarka inculcate creative thinking and problem solving skills through a dynamic curriculum in an interactive learning environment. 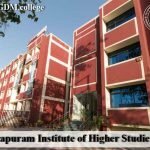 Apeejay Dwarka do this with a set of committed faculty, deeply engaged in both creation and dissemination of knowledge strengthened by a rich academic and industry interface. Excellent Placements across FMCG, Banking, Financial Services, HR consulting, Retail, Infrastructure, Technology, Research, etc. The atmosphere of business education supported by corporate interaction and faculty with industry and academic experience. ASM Dwarka offers full-time Post Graduate Diploma In Management (PGDM). The program is done through six words spread over two years through the Trimester system. Apeejay Dwarka guides by its mission of creating globally competitive, socially sensitive, and morally sound business leaders. The student learning at ASM Dwarka is based on theory, affairs, projects and experiential learning methods. In the basic and functional areas of management, there is a deep understanding of the body of knowledge. Globalization, revolution in communication, information technology and ease of mobility have changed the way we do business. The market is open and competition is fierce. Organizations need to stay the same as the latest strategies and techniques to survive, maintain and grow. This requires people with the right conceptual foundation, analytical skills and application abilities to help them attain and maintain the crucial competitive edge – managers who can lead from the front. The Apeejay Dwarka PGDM program has been prepared to meet this important requirement. The program takes a holistic approach to help shape the entire managers, who can balance the needs of different stakeholders. The admissions for PGDM course through are open. 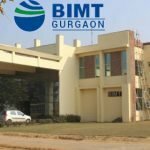 Apeejay Dwarka considers CAT/MAT/XAT/CMAT/GMAT scores for admissions to its PGDM (equivalent to MBA) programme. All candidates wishing to enter the Post Graduate Diploma in Management will apply as per the program given below. Schedule for GD/PI is given below. Interested candidates will have to submit the duly filled application form to the admission office till the scheduled date. These forms are carefully examined for better academic performance and exceptional achievements of candidates. Apeejay Dwarka MBA Apply Online: Click here to fill the Application Form online. Fill the application form carefully before proceeding with payment. Keep a scanned copy of your latest photograph and documents are ready for uploading in the final phase of your application. Students will be required to produce the original certificates at the time of Group Discussion & Personal Interview. The application fee must be deposit as per the board norms. Bachelor’s Degree or equivalent (10th+12th+graduation) in any discipline with minimum 50% aggregate marks from a recognized Indian or foreign university. Candidates in their final year of Bachelor’s degree are also eligible to apply (provid their aggregate marks up to the final year must be 50% or above), subject to meeting eligibility criteria and submitting proof latest by October 31, 2019. 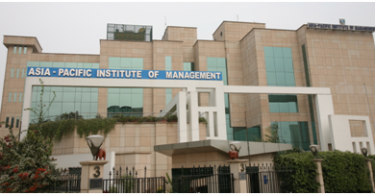 The Institute considers CAT / MAT / XAT / GMAT/ CMAT/ATMA scores for admission to its PGDM program. On the basis of merit, candidates who qualify for different criteria ( CAT & MAT etc. scores, graduation scores) will be call for Group Discussion, Personal Interview to be held at Apeejay Dwarka Campus and possibly other cities in India (Punjab, U.P., etc.). Students in the category of Foreign Nationals/ PIO-(persons of Indian origin) / children of Indian workers in Gulf countries (FN/PIO/GQ), who are unable to take the above test in India, may opt for GMAT. Previous academic performance – Students’ academic performance at the undergraduate level, 12th and 10th levels will be reckoned for consideration for admission. Common Entrance Test (CET)- – The score of common entrance examinations like CAT, MAT, CMAT, ATMA etc considered as per weightage assigned in the following table. Group discussion – Group discussions are generally held for about 25 minutes in which maximum of 10 candidates participate in each group and interact with each other on a given subject. The candidates are evaluate by a panel on their initiative, logical content, group behavior, communication etc. Personal interview – It is a one to one interview between the candidate and a panel for about 10-15 minutes in which a candidate is evaluate on his personality, communication ability, functional knowledge, general awareness, orientation for a management course, etc. 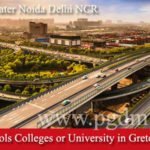 All disputes will be subject to special jurisdiction of the courts of Delhi Students only. The students would be oblige to pay the above fees and/or such fees as may be finally determine by the appropriate authorities/court. If a student withdraws before/after the start of the course and the seat vacatby the student is fill by the institution, part of the fee will be refund as per AICTE Rules. However, in case the seat remains vacant and is not fill by the last date of admission, the student shall not be entitle to get any refund from the Institution and shall be oblige to pay the full fee for the entire tenure of course. As a part of the program, a laptop given to each student, include in the fee structure. If a student withdraws during the course after collecting the laptop from the institution, the cost of the laptop recover from him/her. 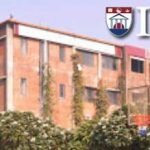 Besides Apeejay School of Management Fee as indict above, every student is require to pay Rs. 15000/- towards corporate resource center, alumni fund, backpack & business newspaper subscription, freshers and farewell get together etc. and a refundable Security Deposit of Rs. 10,000/- along with the first installment. The first installment of fee (along with security deposit) is payable by the date announce at the time of the release of merit list. The subsequent installments of the fee are payable by the dates mention above. FN/PIO/GQ category candidates will have to give another Rs. 3,000/ for the application process.